At the 2017 Los Angeles Auto Show, Lexus contradicted itself. 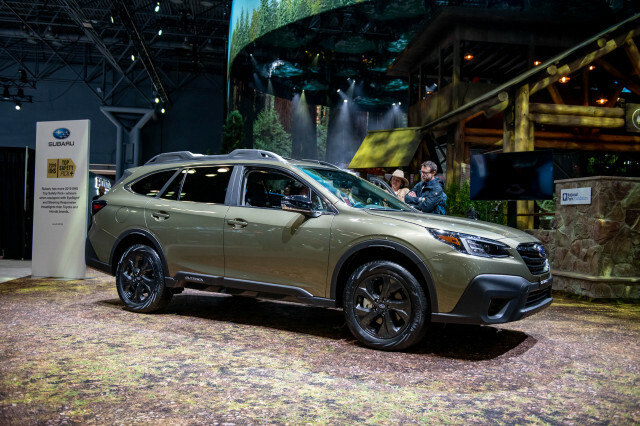 The brand announced that its flagship 2018 LX 570 SUV will no longer come standard with a third row of seats and it showed off an extended-length version of its 2018 Lexus RX crossover that now offers three rows of seats. Confused? Actually, it all makes sense. The big newsmaker for Toyota's luxury brand is certainly the RX L, available as an RX 350L with a 3.5-liter V-6 or a hybrid RX 450hL. 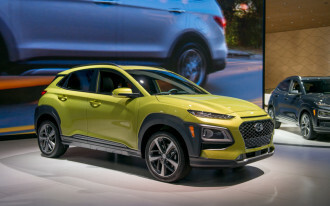 The automaker stretched its popular five-seat RX by 4.3 inches, which allowed it to slot in a stowable third row of seats. 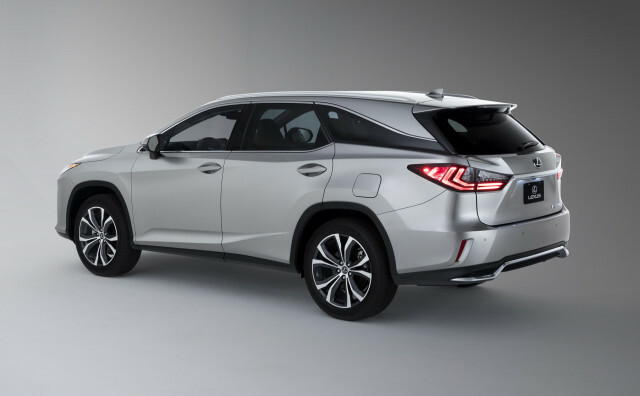 Lexus will offer the RX L in six- and seven-seat variants, the former of which features individual captain's chairs in place of a three-spot bench in the second row. Unlike the standard RX, the RX L will come standard with leather upholstery for the first and second rows of seats. 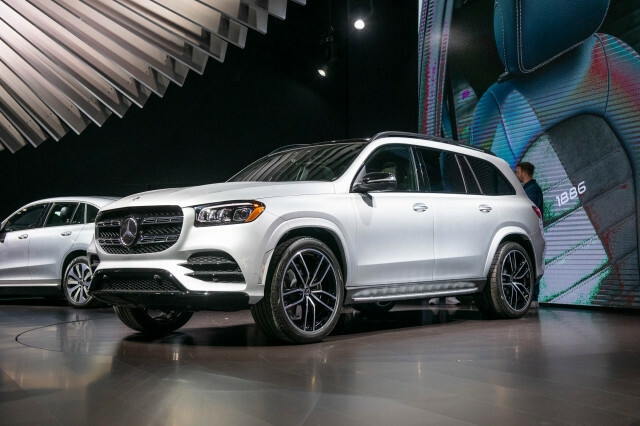 Passengers squeezed into the third row will sit on synthetic leather, but they'll have their own cupholders, climate controls, and vents. 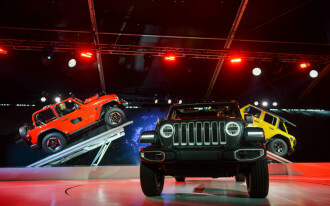 When the third row isn't in use, it folds away at the press of a button to create a flat cargo area. A standard power tailgate joins the standard power-folding third row on the RX L.
Otherwise, the RX L mostly mirrors the Lexus RX inside and out. The RX L hides its girth well, especially considering it shares the standard RX's wheelbase. 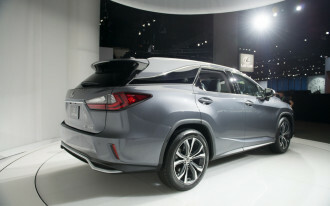 RX 350L crossovers include a 290-horsepower 3.5-liter V-6 and are available with front- or all-wheel drive. 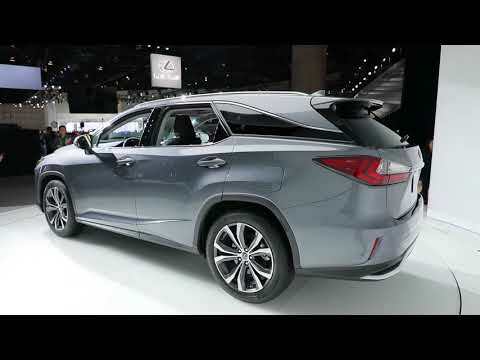 The RX 450hL comes standard with all-wheel drive and puts out 308 hp between a hybrid-optimized of the V-6 and a pair of electric drive motor-generators. 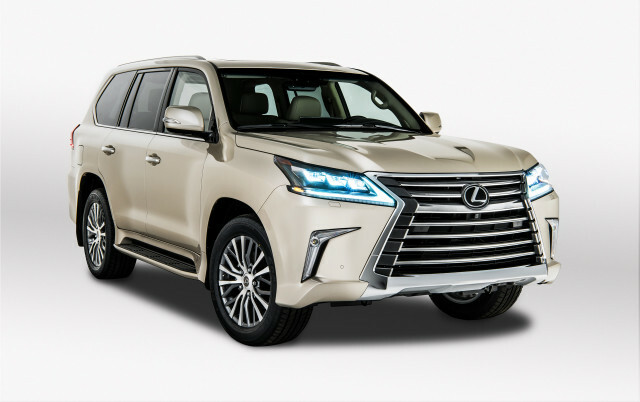 The RX 350L will start at $48,665 and the RX 450hL will list from $50,065, which puts them at about $4,400 more than the standard five-seater. Both base prices include a mandatory $995 destination charge. 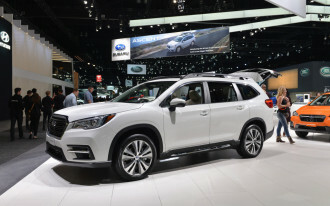 Lexus hasn't announced fuel economy figures for the RX L.
At the opposite end of the automaker's lineup, the range-topping LX 570 SUV—a Toyota Land Cruiser with acres of leather and real wood trim—sees a $5,000 price cut to $86,085 (including a mandatory $1,195 destination charge) made possible by the deletion of a formerly standard third row of seats. 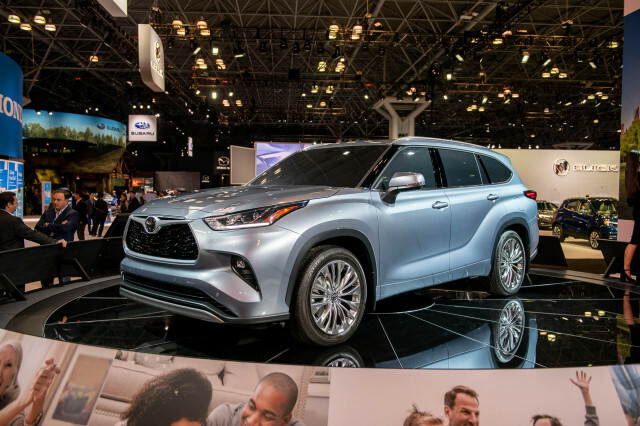 Lexus said in a release that the new five-seat version of the LX 570 gains nearly six cubic feet of cargo capacity over its eight-seat sibling by losing the third row. Unlike the eight-seat LX 570, the new five-seater is only available in one configuration. 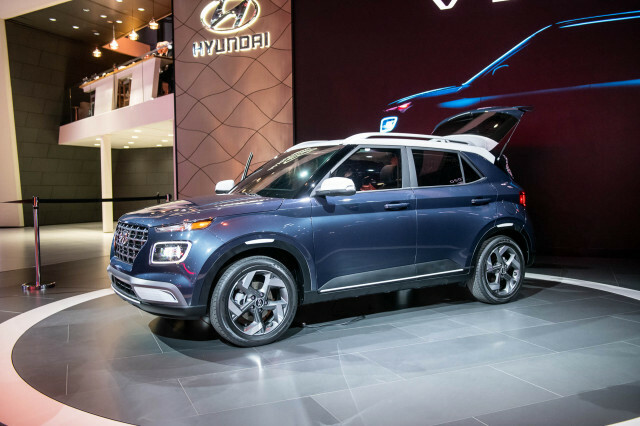 The air conditioned front and heated second row seats available on the eight-seater can't be ordered on the entry-level LX 570. For those who need more seat belts, the three-row LX 570 will be available.